We are dedicated to the safety of our patients and your children. Our doctor is certified in Pediatric Advanced Life Support as well as Basic Life Support. We keep a fully stocked emergency carts, with appropriate emergency medicines as well as an Automated External Defibrillator (AED). 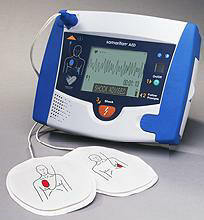 Pulse Oximeters and automated blood pressure cuffs are available for patients receiving conscious sedation.